The situation is developing after Cote d’Ivoire soldiers mutiny over pay, taking over three large cities. 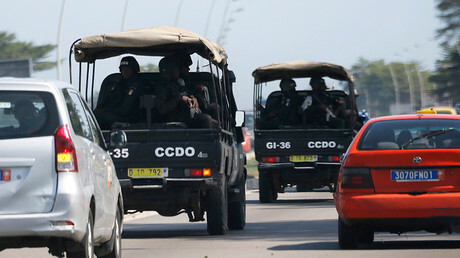 There are fresh reports of gunfire in the country’s commercial hub, Abidjan, as well as several other cities. The defense minister announced he was about to engage in peace talks with the military. 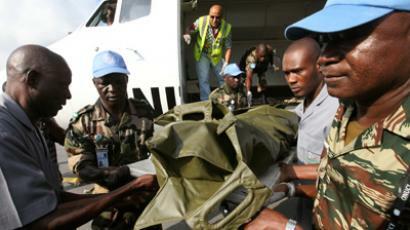 The latest developments come on the heels of gunfire in the city of Bouake, which the soldiers took over last night. A soldier and resident at a military camp in Abidjan tells Reuters the base is now also a battleground. “Shooting has started in our camp too now,” the soldier told Reuters. The mutinying soldiers entered the compound housing Cote d’Ivoire's defense ministry, Reuters reported citing a diplomatic source who claimed to have seen them there. Reporting that the military headquarters was “in the hands of the bad guys,” the source said shots were fired in the air inside the ministry. — Akody (@AkodyNews) 7 января 2017 г. Meanwhile, Cote d'Ivoire's Defense Minister Alain-Richard Donwahi led a delegation to Bouake on Saturday, Reuters reports. The contingent have reportedly managed to reach a deal with mutinying soldiers, hoping the pact will quell the revolt, according to Reuters citing a local official. Despite the announcement of a peace accord, the unrest continued in Bouake, with the defense minister trapped in the city, according to Reuters. Mutinying soldiers also opened fire on a local official's house, Reuters reported citing a witness. The soldiers had first forced their way into the Bouake military headquarters with demands just after midnight on Friday. They then moved to take two smaller cities – Daloa and Korogho. 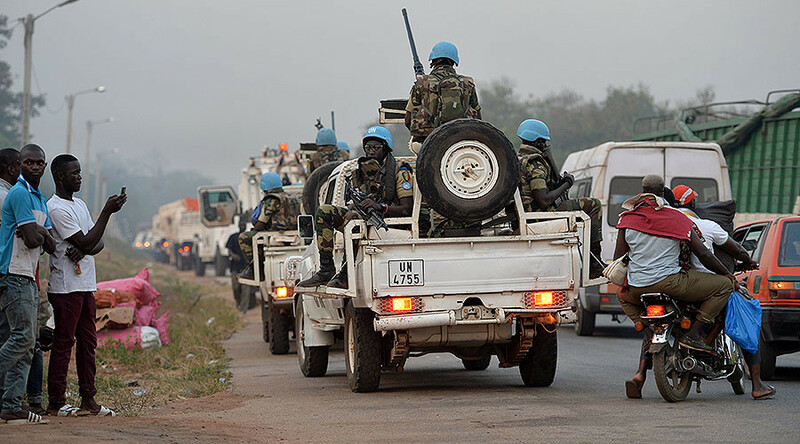 The cities of Odienne and Daoukro were also hit by the mutiny, but according to a televised statement by Cote d’Ivoire's defense minister, the situation has since been brought under control. Fighting is reportedly still ongoing in Bouake, a city of half a million, and center of a rebellion that took control of the country in 2002, until a 2011 uprising reunited the northern and southern parts. Most of those involved in the uprising appear to be former rebels. “The shooting is very heavy right now at the 3rd Battalion. I'm nearby and I hear it like it was right next to us,” Konan Benoit, a resident, told Reuters by phone several hours before reports of gunfire in Abidjan. The agency says gunfire could be heard in the background. The earliest reports came in at 2:00am local time. Earlier on Friday, people in Korhogo and Daloa also described heavily armed units controlling the streets and roads. The soldiers are allegedly demanding five million CFA francs ($8,000) each, as well as a new house. Earlier on Friday, the defense minister said the government was prepared to discuss the demands, after it was suggested that the army send in troops into Bouake. The reasons for the latest spate of violence in Bouake on Saturday morning were unclear, but a member of the uprising told Reuters the soldiers had seen what they thought was suspicious movement in the night. “This is gunfire to discourage them,” he added. Earlier, Reuters obtained footage of a pick-up truck driving fast in the streets of Bouake. A witness reported men in balaclavas on motorcycle patrols. They also reported a UN helicopter surveilling the situation, and an agency journalist said they saw 20 UN military vehicles about nine miles out of Bouake, driving in its direction. This is not the first time a rebellion of this sort has taken place. In 2014, a similar uprising over back pay resulted in the government agreeing to settle with the soldiers. It is thought the soldiers were emboldened by this. But according to organizations and government sources on the ground, a different settlement to the conflict appears tricky at this point, in part due to infighting within the military itself, as well as parallel chains of command. A local diplomat in the Bouake region told Reuters the government could only hope to contain the revolt by force if it sent in the Republican Guard or special forces. “But the Republican Guard protects the president, and the special forces – there simply aren't enough of them,” they added. One soldier told the BBC that the government had not made good on its earlier promises from 2014, which supposedly triggered the current revolt. However, it is not seen as anything more than a pay dispute this time around – instead of a real cause for concern. The soldiers’ loyalty is thought to lie with Guillaume Soro, who had played one of the foremost roles in ousting former-President Laurent Gbagbo. Soro was elected to the National Assembly last year.